Ultra-minimalist. These NMD shoes combine '80s racing heritage with modern materials. 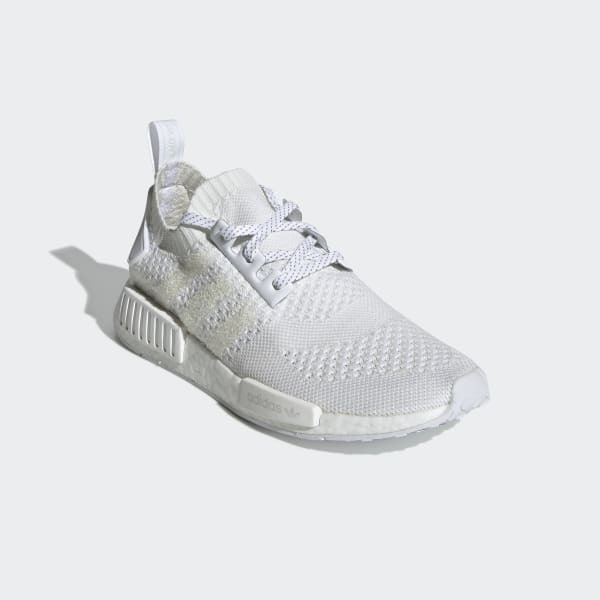 They feature a sleek adidas Primeknit upper that offers breathable comfort on hot city streets. Boost cushioning delivers energy return with every stride for all-day comfort. The shoes come with two pairs of laces, one of which has reflective elements.